28-30 April | Australian Harvard Women's Retreat at Spicers Hidden Vale, Brisbane. Does this sound like Matrix lingo? You definitely have to join us for this exciting masterclass. We will be combining immersive learning experiences with the tech gadgets, the big picture outlook by corporate industry leaders, exploring the use of mixed reality in real world scenarios and solutions for real problems in organisations today, followed by a leadership debate on how to support a faster adoption in Australia. Are you looking forward to looking into the “lens” of current, nearby future and next galaxy projections, join us on May 9. Time: 6.00 pm - 9.00 pm. Sam is Executive Deputy Chairman of property and investment group the Nelson Meers Group, and Co-founder and Trustee of the Nelson Meers Foundation. Her current board appointments include Chairman of Documentary Australia, Belvoir St Theatre and the Brett Whiteley Foundation; Deputy Chairman of the Federal Government’s Creative Partnerships Australia; a Trustee of the Art Gallery NSW; and a Director of the State Library of NSW Foundation. Sam also sits on advisory boards for the University of Sydney and the Centre for Social Impact at the University of NSW. Sam began her career as a commercial lawyer with Mallesons Stephen Jacques (now King and Wood Mallesons), and her executive career included senior management roles in the media sector. Sam is a member of Chief Executive Women and a Fellow of the Australian Institute of Company Directors. Cost: $80pp, includes 2 course lunch and drinks. Political leadership change is a critical element that drives health reform in the United States, Australia and in most global health systems. THE EVENT In June 2019, the Harvard Club of Australia, in partnership with the Deeble Institute for Health Policy Research, and the Australian Healthcare and Hospitals Association will be holding an executive workshop in Sydney (4 June), Canberra (6 June) and Melbourne (12 June) with Professor John McDonough (Harvard University). This workshop on ‘Leading effectively during political change periods’ will transform how health leaders in Australia understand, anticipate and respond to health system challenges in the context of political change, ideological shifts, and health care funding instability in Australia and abroad. Current thinking around value-based health reform will be discussed. Professor John McDonough is currently Professor of Public Health Practice in the Department of Health Policy and Management, and Director of the Center for Executive and Continuing Professional Education at the Harvard T.H. Chan School of Public Health. Between 2008 and 2010, he served as a Senior Advisor on National Health Reform to the U.S. Senate Committee on Health, Education, Labor and Pensions where he worked on the development and passage of the Patient Protection and Affordable Care Act. Between 2003 and 2008 he served as Executive Director of Health Care for All, Massachusetts’ leading consumer health advocacy organization, where he played a key role in the passage and implementation of the 2006 Massachusetts' health reform law. From 1985 to 1997, he served as a member of the Massachusetts House of Representatives where he co-chaired the Joint Committee on Health Care. John has previously been a Joan H. Tisch Distinguished Fellow in Public Health at Hunter College, New York and held academic positions at the Heller School at Brandeis University and Schneider Institute for Health Policy. His articles have appeared in Health Affairs, The New England Journal of Medicine and other journals. He is the author of three books, Inside National Health Reform published in 2011, Experiencing Politics: A Legislator's Stories of Government and Health Care in 2000, and Interests, Ideas and Deregulation: The Fate of Hospital Rate Setting in 1998. He received a doctorate in public health in 1996 from the School of Public Health at the University of Michigan and a master's in public administration from the John F. Kennedy School of Government at Harvard in 1990.
WHO WILL ATTEND? This workshop is aimed at health executives leading reform initiatives across government health institutions, non-profit, business, pharmaceutical, hospitals, higher educational and research institutions, and primary care networks. Lunch is sandwiches and alcohol which is included in price. Discussion will be conducted under the Chatham House rule. A graduate of the law schools of the universities of Melbourne and Virginia, Michael Sexton SC, spent some years as an academic lawyer before taking up practice at the NSW Bar. Since 1998 he has been Solicitor General for New South Wales. He is co-author of the Australian text on defamation law and the author of several books on Australian politics and history. In the area of public administration he has been chairman of the NSW State Rail Authority and a board member of the NSW Public Transport Authority, the NSW Library, the Sydney Writers' Festival and the University of Technology Council. Prior to his surgical training he was based in Geneva for 3 years as the youngest ever President of the International Council of Nobel prize-winning Medecins Sans Frontieres (MSF). He was the President of MSF Australia from 2002 to 2005. Rowan has worked on the field in some of the world's most troubled regions, including Afghanistan, Sierra Leone, Sudan, Liberia, Beirut, Congo and Sri Lanka. He brings an unique perspective to the complex interplay of factors which facilitate and impair the deliverance of humanitarian assistance, such as when the principles of impartial and independent humanitarian action conflict with goals of security and development or when aid is utilised as a reward or sanction. Monday Club Lunch | Australia-China - should we be friends? Natalie Cope is a regular speaker, writer and commentator on Australia-China affairs and is recognised as a leader in the Australia-China business community. On invitation from the Foreign Minister, she participated in both the 2016 and 2017 “Australia-China High Level Dialogue”, the most senior level dialogue between the two nations. Natalie will discuss the current state, triumphs, challenges, and future possibilities of the Australia-China strategic relationship. Natalie is currently the Head of Strategy & Partnerships, Asia at GenesisCare, Australia's largest provider of cancer and cardiac care. Prior to this role, Natalie was the Chief Executive Officer of the NSW Branch of the Australia China Business Council (ACBC) where she was responsible for promoting and developing two-way trade, investment and economic cooperation with China. Natalie was previously also the Manager of Partnerships and Development at Asialink Business, Australia's centre for developing Asia capability. Natalie was Australia’s 2015 Top Emerging Leader and MBA Scholar, receiving the 2015 Emerging Leaders MBA Scholarship by the University of Sydney Business School and The Australian Financial Review’s BOSS Magazine. She was the Ambassador of the Westpac Bi-Centennial Foundation, Asian Exchange Program, as well as a founding member and current Chairperson of the Australia-China Youth Dialogue. She serves as the youngest (and the first female) member appointed to the advisory council of China Matters, a leading non-profit organisation dedicated to advancing sound China policy for Australia. Natalie holds a BA, LLB (Hons), GDLP and MBA. In her spare time Natalie loves to surf and has a penchant for languages (with Spanish and Chinese already under her belt). Most recently Natalie was proud to secure a podium finish in the Women’s division of the 2018 Women’s Pyongyang Half Marathon in North Korea. Terry Agnew is the Group CEO of RAC in Western Australia. RAC started as a motoring club in 1905 and now also provides a range of diverse services to over 1 million Western Australians in the areas of motoring, insurance, finance, travel and tourism, retirement and home services. RAC also remains a strong advocate for its members on key issues such as road safety, mobility, accessibility and environmental sustainability. As with many organisations, RAC is balancing defending its heritage services with the challenges of growth, relevance and sustainability. Competitors and disruption from technology as well as empowered consumers demand adaptability and responsiveness…and RAC is responding in a number of ways, particularly with an innovation focus. Terry is leaving RAC in March 2019. He will share the lessons he has learned as Group CEO in leading an iconic WA organisation for the past 20 years. The HCA is greatful to joined by Terry to share his incredible journey, please join us for this not be missed event for 2019. Terry is the current Chair of the Business Council of Cooperatives of Mutuals, Curtin Business School Advisory Council and Edge Employment Solutions (a disability employment service). He is also a Director of RAA Insurance and MDA National Insurance (both subsidiaries of mutual organisations) and a Founding Member of CEO’s for Gender Equity. Terry is a member of two global entities; Chairing the FIA University Board and is a member of the Board of the Global Mobility Alliance. Terry’s experience includes a range of executive and board roles with mutual and member organisations, private and public companies, government, and educational organisations. His industry experience includes insurance and financial services, education, care and disability, tourism and sport. Cost: $75.00, drinks & canapes included. Harvard Neurology Professor Seward Rutkove, is visiting Sydney with the support of the Harvard Australia Club. Prof. Rutkove’s work focuses on use of innovative techniques such as electrical impedance and ultrasound to assess muscle function, and his innovative method for monitoring progress of ALS was recognized with the $1 million Prize4Life (https://www.nytimes.com/2011/02/08/health/08als.html). Prof. Rutkove will be speaking at the Royal Sydney Yacht Squadron evening of December 4th, and at Westmead Hospital at lunchtime on December 6th. For those interested in learning more about his work, please see What’s On page. Evening with Professor Seward Rutkove, Beth Israel Deaconess Medical Center, Harvard University, Boston, USA. The British established a colony in what is now known as Sydney Cove which has had continuous dire consequences for our First Nations peoples. The land now known as Australia was deemed by Captain Arthur Phillip in 1788 as Terra Nullius-“no man’s land”. The ‘natives’ were considered as savages and not as human beings. The British then decided that the land was unoccupied and therefore was theirs for the taking. Since that period of time right up to today the First Nations Peoples of Australia fought against the attempted annihilation of the peoples by the British in order to take possession of the land. The battles continued in many different ways and today we have the Uluru Statement from the Heart. The Statement, which outlines how the Australian Government and Australia’s First Nations peoples can come together and rectify the wrongs that have been made against the Aboriginal and Torres Strait Islander peoples of Australia who have cared for this land for over 60,00 years. Norma is Wiradjuri woman born in Cowra NSW. She has lived most of her life the inner Sydney suburb of Redfern. Norma won the 2018 NSW Woman of the Year Award First State Super Lifetime Achievement Award and is the 2019 Labor Party candidate for the NSW seat of Newtown which includes Surry Hills, Redfern, Newtown, Enmore through to Summer Hill and Sydney University. With a Masters in Education from Harvard University, she is also a member of the Harvard Club of Australia. Norma brings with her over 35 years of direct industry experience in both training and serving the interests of the Aboriginal communities. She has managed and delivered training programs at TAFE, the University of Technology, Sydney (UTS), QANTAS, the NSW Premier’s Department and Cabinet and the Australian Department of Defence. She has also developed and implemented programs which focus on developing skills and a heathy lifestyle to assist Aboriginal women and others in gaining meaningful employment. 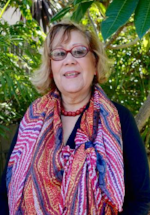 Norma has also been dedicated to serving the Aboriginal community with various roles; CEO of both Metropolitan Local Aboriginal Land Council and the NSW State Aboriginal Land Council, founding member, Board Member and CEO of Murawina Aboriginal Pre-school and Chairperson Wyanga Aboriginal Elders Program. She is currently a member of the National Congress of Australia’s First Peoples. She has also sat as a Board member on the Indigenous Land Corporation (ILC) and NSW Aboriginal Housing Office and on the Indigenous Advisory Group at UTS and the City of Sydney, and has served as a panel member for the selections of NSW Australian of the Year. She now brings all that wealth of knowledge and experience by establishing both Willing Consultancy and the National Aboriginal College in partnership with some very experienced Aboriginal women. This is an opportunity to join fellow Harvard Club members and their partners, to renew acquaintances, meet new Harvard Club alumni and their guests and other Harvard alumni based in Queensland to share in the true spirit of Thanksgiving. Join an information session about the Harvard MBA Program. This event will be hosted by alums of Harvard Business School. Topics to be covered include the academic experience and HBS community. Venue: Bain, Level 45, Governor Phillip Tower, One Farrer Place, Sydney. Jane Halton AO PSM FAICD FIPPA is a member of the board of the ANZ, Clayton Utz, the Australian Strategic Policy Institute, and the US Institute of Health Metrics and Evaluation. She is chairman of the Coalition for Epidemic Preparedness Innovations, COTA and Vault Systems. Her 33 year career within the Australian public service, included nearly 15 years as Secretary of the Departments of Finance and Health (and Ageing). Previously she was Executive Co-ordinator (Deputy Secretary) of the Department of the Prime Minister and Cabinet. She has extensive experience in the delivery of the Australian Government budget and the management and performance of Australian Government agencies. Jane has held a number of significant roles in Global Health Governance including as Chair of the board of the WHO and at the OECD. 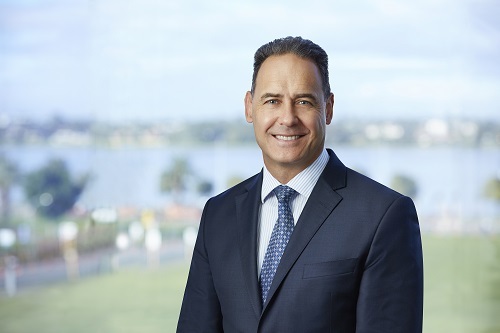 Mark Barnaba commenced as Co-Vice Chair of Fortescue Metals Group in November 2017 and has served as Lead Independent Director since November 2014 as well as a Non-Executive Director since February 2010. Mr Barnaba is a member of the Board and Chairman of the Audit Committee of the Reserve Bank of Australia. Prior to his appointment, he worked for McKinsey and Company and also recently held several senior executive roles at Macquarie Group, where until 30 August 2017, Mr Barnaba served as Chairman and Global Head of Natural Resources for Macquarie Capital. He is Chairman of The University of Western Australia's Business School Board and is an Adjunct Professor of Finance and Investment Banking at the University of WA, is co-founder (and previously co-executive Chairman) of Azure Capital, is a Senior Advisor at Ernest & Young Oceania and has previously served as the Chairman of Western Power, Chairman of Black Swan State Theatre Company, Edge Employment Solutions, the West Coast Eagles Football Club, Alinta Infrastructure Holdings and member of the Advisory Council for The Hugh Jackman Deborah-lee Furness Foundation for the Performing Arts. In 2011, he was appointed by the Premier to chair the WA Steering Committee of the Commonwealth Business Forum for CHOGM. After graduating from The University of Western Australia with a Bachelor of Commerce (first class honours; University medal), Mr Barnaba entered Harvard Business School receiving an MBA (high distinction; Baker Scholar). 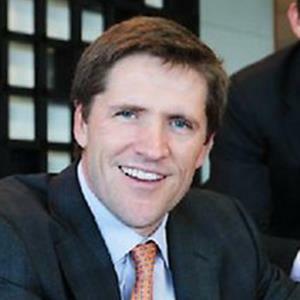 Post business school, he spent the majority of his time with McKinsey and Company, overseas, before returning to Australia in the mid-1990s. Mr Barnaba was the recipient of the WA Citizen of the Year Award in Industry and Commerce in 2009. In 2015, Mr Barnaba was named a Member in the General Division of the Order of Australia (AM) for significant service to the investment banking and financial sectors, to business education, and to sporting and cultural organisations. 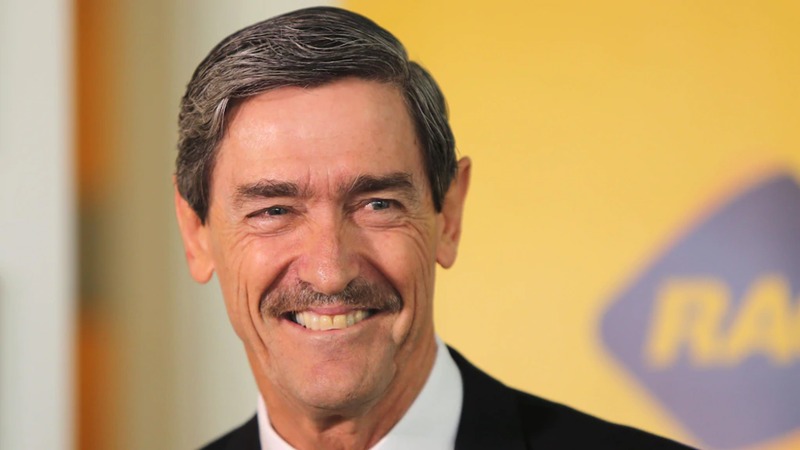 He received an Honorary Doctor of Commerce from The University of Western Australia in 2012 and was granted the Honorary designation FCPA from CPA Australia. He is a Fellow of the Australian Institute of Company Directors. The Hon Nick Greiner AC was Premier and Treasurer of New South Wales from 1988-1992. In June 2017, he was elected as Federal President of the Liberal Party. Please join him in this 'not to be missed' lunch talk where he discusses the recent tumultuous events in Australian politics and shares his analysis of the state of the nation in 2018. Since his retirement from a distinguished political career, Nick has also been heavily involved in the corporate world as Chairman of several large companies and as the Deputy Chairman and director of others. Nick is also Chairman of The European Australian Business Council (EABC) and a Member of the Board of Governors, Committee for Economic Development of Australia (CEDA). In the Queen’s Birthday Honours List of 1994 he was awarded a Companion of the Order of Australia for public sector reform and management and services to the community. He is a Life Fellow of the Australian Institute of Company Directors, an Honorary Fellow of CPA Australia and a Life Member of the South Sydney Rugby League Club. RSVP below by Tuesday, October 16. Early registration is encouraged for us to ensure we cater for the numbers. Please contact Sean Li (sli@mba2016.hbs.edu or 0406 343 669) with any questions. Former Dean of Harvard Medical School Jeff Flier will present 'Thoughts on the future of medical science and practice” followed by HMS Professor Terry Maratos-Flier who will discuss "Women in Medicine". The Harvard Club of Australia invites members, Harvard alumni and guests to join us on Tuesday 16th October for a special lunch presentation at JBWere Sydney via video conference from Melbourne. Currently Jeff is the Harvard University Distinguished Service Professor & Higginson Professor of Physiology and Medicine at Harvard Medical School. Jeff served as the Dean, Faculty of Medicine at HMS for 9 years until 2016. He is a physician scientist, and endocrinologist with a long term interest in diabetes and obesity. His current interest is in the future of health care and biomedical research. Terry is a professor of Medicine at Harvard Medical School. Her major interest is the role of the CNS in regulating feeding behavior and energy homeostasis. Terry also serves as a Director at Novartis Institute for Biomedical Research (NIBR). 8:00 pm - Class ends followed by Drinks & canapes until 9.00 pm. One of the initiatives of the new club strategy, responding to member demand, is to create a series of Master Classes, offered by people with special expertise and experience. They will provide members with innovative learning opportunities through interactive discussions and engagement with a broad spectrum of other members. Leadership Lessons from the American Civil War is the second in this series. It is a case discussion in the best Harvard Business School tradition. It uses stop-action excerpts from a historically accurate movie depicting an extraordinary dilemma that faces a newly-promoted young colonel the day before the battle of Gettysburg. Participants put themselves in the boots of the protagonist and, through guided discussion and debate, pick apart the facts, options, goals and risks to determine what he should do. In this Master Class, by analyzing the crisis and its ethical and practical issues, you will identify essential leadership qualities and behaviours that inspire and motivate others, such that they are willing to follow, even in an extreme situation such as the heat of battle. This Master Class will be led by Ted Blamey, Club Life Member and Harvard MBA. Following his attendance at a presentation of this case at HBS, he has developed and refined it. Over the last 5 years he has presented it to a wide range of audiences to much acclaim. No prior preparation is needed other than optional reading of a short background brief on the civil war that will be sent to all participants in advance. Hala Zreiqat is Professor of Biomedical Engineering at the University of Sydney, a 2016-2017 Radcliffe Fellow at Harvard University, and past Australia-Harvard Fellowship recipient. As a pioneering biomaterials and tissue engineer Hala won the 2018 NSW Premier's Award for Woman of the Year. As a pioneering biomaterials and tissue engineer Professor Hala Zreiqat won the 2018 NSW Premier's Award for Woman of the Year. Her research work involves the development of novel engineered materials such as "ceramics" and 3D-printed platforms which can be used in orthopaedic, dental, and maxillofacial surgery. She has established national and international industry collaborations to translate her discoveries into approved medical devices. Her pioneering development of innovative biomaterials for tissue regeneration has led to one awarded (US) and 7 provisional patents, and several collaborations with inter/national industry partners. Hala has also been described as a trailblazer in championing opportunities for women in the field, becoming the first female president of the Australian and New Zealand Orthopaedic Research Society. She was also the first person in NSW to receive a prestigious Radcliffe Fellowship from Harvard University where she founded an international network called IDEAL Society (Inclusion, Diversity, Equity, Action Leadership) at Harvard University (2017-); dedicated to improving opportunities for women around the world. Prof. Zreiqat’s overall objective is to advance collaborative research ventures and build educational and industry linkages nationally and internationally in the field of musculoskeletal disorders and biomaterials research. The Harvard Club of Australia is delighted to welcome you to Greater Springfield CBD, a short drive against the prevailing traffic for an enlightening and inspiring breakfast covering the 25 history of Springfield. David Henry has over 35 years’ experience in the real estate and construction industries predominately in Australia and a 5 year role in South East Asia between 2008 and 2013.He was an Executive Director of Springfield Land Corporation Pty Ltd, the developer of a new city for 138,000 equivalent population residents in South East Queensland prior to moving to Asia. David joined the VinaCapital Group in Vietnam in July 2008 to become Managing Director of VinaCapital Real Estate Ltd based in Ho Chi Min City Vietnam with an active portfolio of 40 plus projects. His role also included Managing Director of the LSE AIM board listed Vinaland Fund and was a member of the VCRE Investment Committee. He returned to Springfield Land Corporation as CEO – CBD Development in February 2013. Terry Kearney has over 40 years of experience in the education sector. Over the last nine years Terry has been responsible for the design and development of education, health and smart city facilities and services within Greater Springfield – awarded the world’s best master planned community. Within his role as Chief Executive Officer he values forging strong partnerships to ensure the best human services for all community members. Terry is a passionate expert in education and has spent more than fifteen years as a highly valued and exciting keynote speaker. His ability to engage with an audience and share his passion for lifelong learning is highly regarded and as a result Terry is a sought-after speaker. Terry has held several Board positions including P&C’s Qld and the Aboriginal Centre for Performing Arts. Terry studied leadership, organisation learning, change management and effective business practices at Melbourne Business School and has worked and studied with teams from Massachusetts Institute of Technology and Harvard University. Monday Club Lunch with Amy Smith MBA'15 "The Future of Food"
The Future of Food: How Technology and Data are Helping us Answer "What's for Dinner?" About the talk: Technology and the quantity of data available is rapidly changing all parts of life as we know it - including what we eat for dinner. HelloFresh delivers over 2.5 million meals a month across Australia, and is growing quickly. Amy will share how HelloFresh Australia combine data from hundreds of thousands of data points with creativity and knowledge of what's in season to develop recipes that Aussies will love. This, along with forecasting supply chain technologies, ensure that all ingredients ordered have a place in an upcoming recipe, removing food waste from the food supply chain. Amy is the Managing Director and Chief Marketing Officer of HelloFresh Australia. She holds a Bachelors degree in Engineering and Mathematics, and an MBA from Harvard Business School. Amy started her career at McKinsey in Melbourne, and had her first taste of the start up life was at Handy in New York City. Amy has worked for HelloFresh for over three years, across operations, product development and marketing, in all 10 geographies and three continents. Do you know what your children are looking at on Social media? It is with genuine pleasure the Harvard Club of Australia joins with the USA Consulate in Western Australia to invites you to an evening of networking and discussion – on a topic that many of us are trying to understand the ramifications of. Children aged 8 to 18 spend more time with media than they do at school or with their parents. We are delighted to give you the opportunity to hear from Michelle Lipkin who will discuss the many ways – both positive and negative – in which media impacts our children’s lives. Topics for discussion will include social media, digital citizenship and media literacy. She will also provide tips on how to navigate parenting in this digital age, and the various forms of media that are a significant part of our children’s lives. Michelle’s visit to Perth is sponsored by the U.S. Consulate. We hope that you will join us for this special event. Michelle Ciulla Lipkin is the Executive Director of the National Association for Media Literacy Education. As Executive Director, Michelle has helped NAMLE grow to be the preeminent media literacy education association in the U.S. She launched the first ever Media Literacy Week in the U.S., developed strategic partnerships with media companies such as Participant Media, Nickelodeon, and Twitter, and restructured both the governance and membership of the organization. She has also overseen four national conferences and done countless appearances at conferences and in the media regarding the importance of media literacy education. Michelle has advocated for greater media literacy education through CNN, PBS News Hour, NPR, The New York Times, and Al Jazeera English. See Michelle’s recent CNN appearances here. Michelle is currently an adjunct lecturer at Brooklyn College in the TV/Radio department where she teaches media criticism and media literacy. Michelle also serves as a representative for NAMLE on the Council of Communication Associations and a judge for What’s Your Story? Youth Media Contest. To read about Michelle’s personal journey to media literacy, see this article from PBS News Hour. David Yermack is an NYU Stern School of Business Professor who is visiting the University of Western Australia at this time. "You’ve heard of bitcoin, blockchains, and maybe even crypto kitties, but what does it mean to you? And the rest of the world? This disruptive technology has the potential to change the way the world works from: how we use money, international finance remittance, how global supply chains are managed, the stock market, and how governments interact with its citizens. The promise of blockchain technology is virtually endless and is already having seismic impacts that can be felt by everyone around the world. The Harvard Club of Australia is delighted to be joined by Prof. David Yermack of NYU’s Stern School of Business, who teaches a popular graduate course on blockchain who will delve into the impact blockchain is having globally and in Australia. "David L. Yermack is the Albert Fingerhut Professor of Finance and Business Transformation at New York University Stern School of Business. He serves as Chairman of the Finance Department and Director of the NYU Pollack Center for Law and Business. Professor Yermack teaches joint MBA - Law School courses in Restructuring Firms & Industries and Bitcoin & Cryptocurrencies, as well as PhD research courses in corporate governance, executive compensation, and distress and restructuring. Professor Yermack received his Bachelor of Arts in Economics (1985), Master of Business Administration (1991), Juris Doctor (1991), Master of Arts in Business Economics (1993), and Doctor of Philosophy in Business Economics (1994) from Harvard University." "How do we best prepare leaders for the future challenges facing health systems?" Kimberlyn Leary is an associate professor of psychology at the Harvard Medical School and an associate professor in the Department of Health Policy and Management at the Harvard T.H. Chan School of Public Health, where she directs the Enabling Change program. In her role with the DrPH program, she teaches leadership skills to prepare public health professionals for synergistic engagements with complex problems. Increasingly, this work requires the ability to innovate and problem-solve with diverse stakeholders, from diverse backgrounds, towards the goal of making communities healthier. The Enabling Change program is designed to develop leaders with the skills that enable them to sustain collaboration among local and national partners, design interventions that span multiple sectors, and lead change that results in affirmative impact. Dr. Leary is also the Executive Director of Policy Outreach at McLean Hospital and a faculty affiliate at the Program on Negotiation at Harvard Law School. She has taught courses on negotiation and conflict transformation to undergraduates at Harvard College, to senior executives at Harvard Law School, and to physicians working in high-conflict zones in Thailand and studied Dutch-Muslim neighborhood conflict as a Visiting Scholar at the University of Amsterdam. Currently, she is also as a Senior Advisor to the CEO at the National Math and Science Initiative, serving as a thought partner on strategy pertaining to inclusive STEM education. As a Robert Wood Johnson Health Policy Fellow, Dr. Leary served for one year as an Advisor to the White House Council on Women and Girls helping to develop and then direct “Advancing Equity,” an initiative focused on cross-sector approaches to improve health, education, and economic outcomes for women. For almost 12 years, she served as chief psychologist at the Cambridge Health Alliance/Harvard Medical School, directing the division of psychology and its training programs to deliver culturally sensitive care supporting the hospital’s primary care centers, specialty mental health, and acute emergency services. She has a Ph.D. in clinical psychology from the University of Michigan, an MPA from the Harvard Kennedy School, and an AB from Amherst College, where she is also on the Board of Trustees. Laurie Pascal is from the department of health policy and management at the Harvard T.H. Chan School of Public Health, where she teaches courses on organizational behavior, leadership, organizational change, the U.S. hospital industry, and organizational strategy. Drawing on diverse leadership experience in corporate, public and nonprofit healthcare settings, she conceives and directs forward-looking executive education programs for physicians, nurses and other health system leaders from the U.S. and abroad designed to develop leaders who can enhance organizational effectiveness, improve strategic planning and implementation, and create and sustain change in their organizations. Laurie consults to hospitals and health systems, physician practices, foundations and universities in the U.S. and internationally on leadership, change, program development and strategy. Previously, Laurie was the Vice President of Business Development & Planning and the Vice President of Radiology at Beth Israel Deaconess Medical Center, a Harvard Medical School affiliated health system. She formerly held executive positions in strategy, planning and market development in health insurance, financial services, and academia. She serves on the Boards of Trustees of several healthcare and higher education institutions in addition to the Harvard Pilgrim Health Care Ethics Advisory Group. Laurie holds an MBA from Northwestern University Kellogg School of Management, an MPH from Harvard T.H. Chan School of Public Health and a BA in Psychology from the University of Michigan. The Din & Tonics are a 12 piece jazz a cappella group from Harvard University. Their performances are highly admired for their impeccable musicianship and entertainment value. A musical treat not to be missed! Book by: 31 July. Members welcome to bring guests. The 2018 Harvard Club Program for Leaders 'The Future of Work in the Digital Age: winning through talent, technology and improved productivity' aims to help participants understand the ways leading organisations use technology and data to improve the production of their workforce and gain competitive advantage in the market place. Format: Five Day Residential Program. Fee $10,750+GST. Ask about EarlyBird & Team Discounts. Contact: Suzie Ruse, Program Manager, or Melinda Muth, Program Director, 0419 277 376. The 2018 Harvard Club Program for Leaders 'The Future of Work in the Digital Age: winning through talent, technology and improved productivity' is designed for senior executives with responsibility for strategy, leadership, and organisational performance. Format: Two Day Residential Program. Fee $2,200+GST.